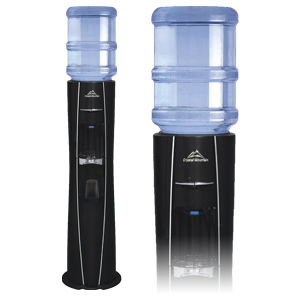 The stunning Everest Elite bottle fed water cooler. SKU: Everest Elite. 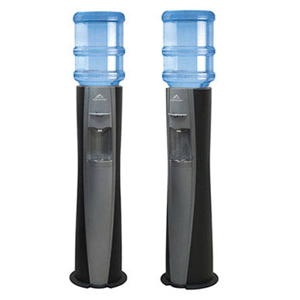 Category: Water Coolers. Inspired by the award winning Everest model, this is the new improved and stunning, black Everest Elite. Innovative design features including the blue led lit dispense area and the DryGuard™ non-spill system and raised faucet handles. It’s sleek design and upscale look is perfect for either home or office environments. Water cooler hygiene is paramount, this water cooler will need sanitising. Manufacturers recommendation of 2 per year. Please ask for details.